Could I create a simple WordPress Sitemap Page without using plugins to includes Pages, Posts and Custom Post Types? Yes. Could I create one that actually worked with the theme I'm using? On my second attempt, yes. Needless to say you need to have administrative access to your WordPress site and FTP access. 1:In your active theme folder, create a file named sitemap.php. 2: Paste the following code in to the sitemap.php file. Note that for this sitemap template to render properly with my theme, I have to float the main content <div> (else my sidebar drops below the foot of the sitemap) and do a bit of styling of my main heading text. 6. Create a new page in the backend of your WordPress install. Select the page template – HTML Sitemap. 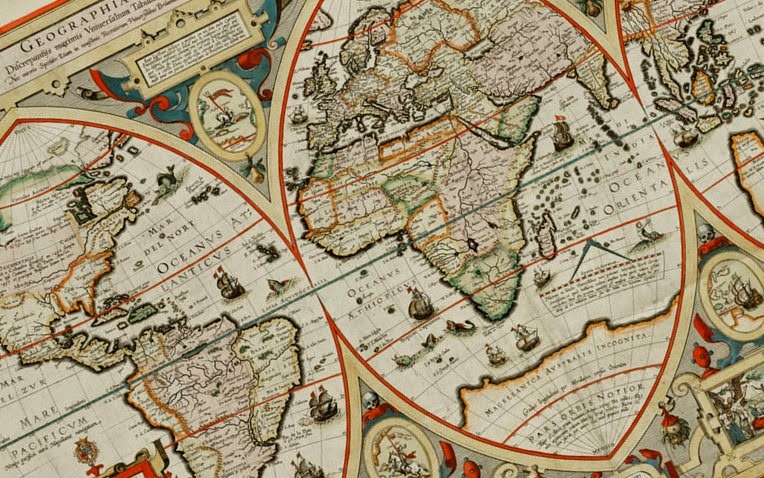 Image credit: Geographica restituta per globi trientes - Norman B. Leventhal Map Center at the BPL via Wikimedia Commons.